Cesáreo Verbo had a dream and over time that dream became a reality. Cesar Cheese was created with the aim of producing cheese in an artisan way. Our passion is to produce cheese combining quality, tradition and loving care. We oversee our production process in every detail. This has made us achieve excellent quality cheese. We have enhanced this process through the years. We supervise the whole process from the milk collection to the selling of it in our in- house factory. We reached our 30th anniversary and we still have the same passion as when we started and our ambition is to continue opening new national and international markets. 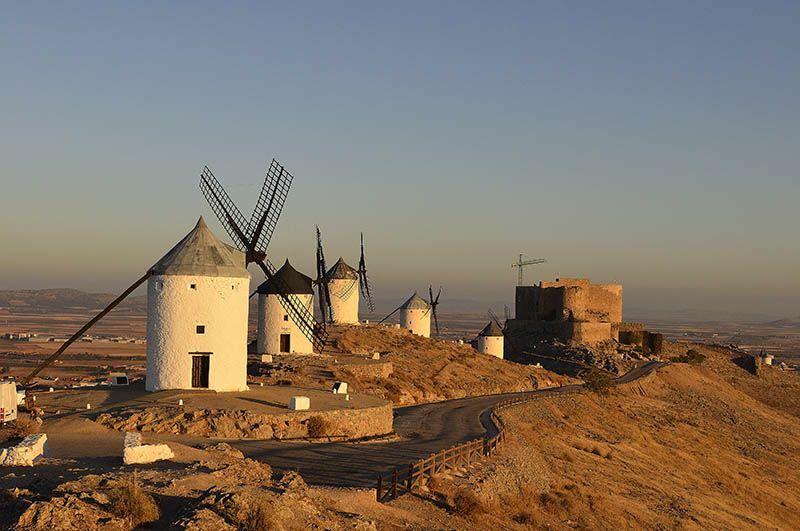 We are based in Consuegra, in the heart of La Mancha. We are surrounded by windmills. It is the best place to obtain quality, raw material. We obtain the milk from our trustworthy local shepherds and this allows our cheese to have an exceptional and unique flavor. Thanks to a rigorous elaboration process, each cheese is left to mature at their own pace and without rushing it . Cesar Cheese has been a recipient of European Regional Development Funding whose aim is to increase the competitiveness amongts SMEs. Thanks to this plan, Cesar Cheese has set up an Internalization Plan with the aim of developing its competitive position abroad during 2017. They have also been supported by the XPANDE program of the Commerce Chamber of Toledo.